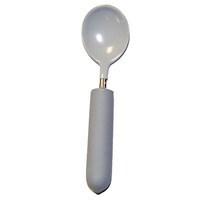 MaxiAids | Youth - Weighted -Coated Spoons -Soupspoon Reg. 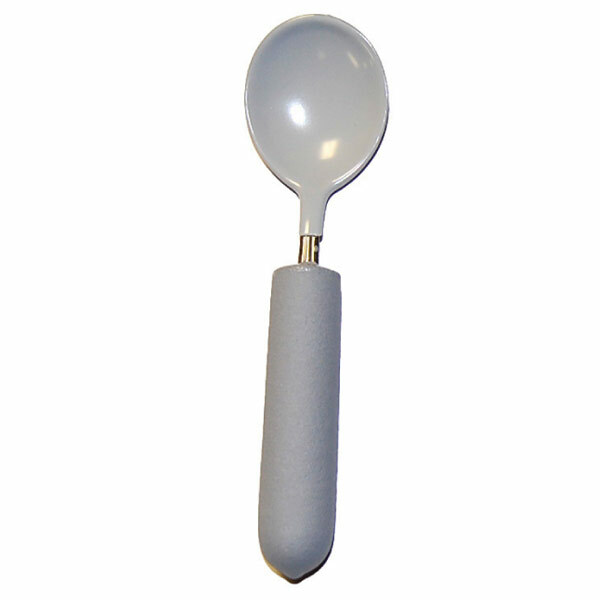 Youth - Weighted -Coated Spoons -Soupspoon Reg. Plastisol coating increases the thickness of the bowls to help protect the teeth and lips. Plastic vinyl handles are shaped to fit the fingers. Handle is 7 1/8 diameter, length is 3 1/4 long. Utensils are stainless steel. Dishwasher safe. Left or right hand models are shaped to turn in toward the center of the body. Weight is approximately 4 oz.